Malvern Male Voice Choir started in 1922 as a male quartet and grew rapidly to become one of the most prominent choirs in the three counties. We are a committed group who live in and around Malvern. Our members’ ages span late teens to eighties and we enjoy a wide range of talents, skills and abilities both musically and organisationally. We currently number about thirty voices and we always welcome new members to share our enthusiasm and to join in our enjoyment. Our repertoire is large and our library contains over 300 titles. We perform music from TV and film as frequently as musical showstoppers. We sing great Welsh male voice choir classics as well as music of the masters, sixties classics, pop, and songs with strong African rhythms. The full blooded sound of sea shanties contrast with the close harmonies of barber shop and, of course, Christmas provides us with an array of much loved pieces to relish and share. We love and enjoy our singing whether the music is pleasingly straightforward or satisfyingly challenging. New members are always welcome – please see our Contacts page above for further information, or turn up at any Rehearsal! Our rehearsals are always good humoured with emphasis on enjoyment. We provide opportunities to entertain others throughout the area at a wide range of venues and often in conjunction with other choirs and musical groups. Our concerts often support charities both local and national. We create a sound which is often impressive, beautiful and mysterious and which furthers the Choir’s living tradition. Malvern Male Voice Choir rehearses on Monday evenings at Holy Trinity Church, Malvern. Check out the Rehearsals page for more information. 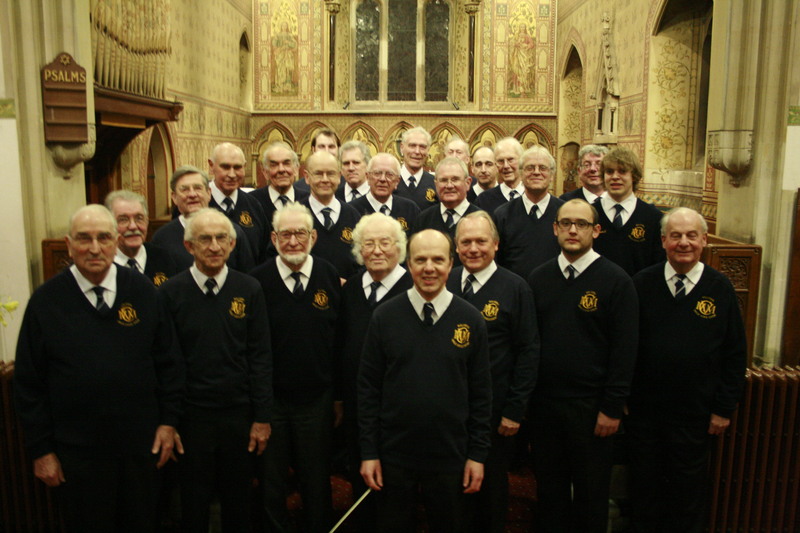 Malvern Male Voice Choir is conducted by Charles Pavey. Organist and Choirmaster of Holy Trinity Church, Charles also accompanies Powick Community Choir and Worcester Gilbert and Sullivan Society and teaches all aspects of music performance in and around Malvern. His website can be found here.